Tear cards combine the benefits of a rack card and business card. The tear-off section is perforated for easy removal. Great for special offers. 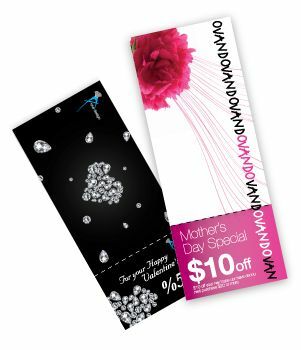 Tear cards are a highly versatile marketing tool and have many applications. We produce them in the three most common sizes. The tear-off portion is typically a standard business card size and perforated for easy removal.